Garden Looms. Interior. 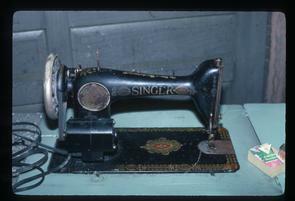 Close up of Signer sewing machine.